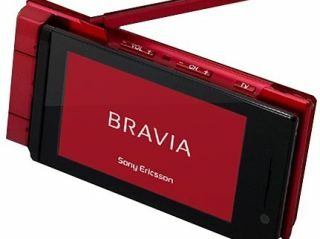 Just a week after wowing the world with its super-slim new LCD telly, Sony has gone to the other end of the innovation scale and given us a waterproof Bravia for the bathroom. For ¥39,800 (£205) Japanese bathers get to watch those skinny (the signal is stripped down to reduce the data burden) digital 1-seg broadcasts normally meant for phones and similar devices while soaking in the tub. The XDV-W600 goes on sale at the end of October in a choice of white, pink or blue and will definitely be a Japan-only product, but that's not to say it isn't kinda cute. The 4-inch screen is very reminiscent of the LCD on the PSP (couldn't be, could it? ), while an FM tuner and rechargeable batteries only add to the flexibility. Internal memory of 2G can record TV shows for up to 10 hours, while the waterproof casing means the little telly can survive lying at the bottom of the bath for up to half an hour. What's not to like?